CHICAGO - If not for a few twists of fate, June Yamagishi may not have ended up in New Orleans. In 1975, Yamagishi left Japan for a two-week trip to the West Coast of the United States, his first visit to the country. At the time, his music career was taking off. Three years earlier in 1972, he joined the West Road Blues Band as a guitarist at the age of 19 and, in September of that year, the band opened for B.B. King in Osaka. King called the band out to play with him during the encore. On his trip abroad, Yamagishi visited Los Angeles and San Francisco and was thrilled by the music scene. 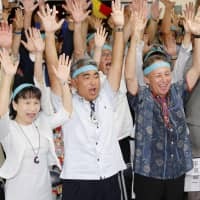 He went to the LA Forum to see Eric Clapton and Carlos Santana, and when the concert let out at 1:30 a.m., Yamagishi partied until 3 a.m. at the Cocoanut Grove club at the Ambassador Hotel, one of the premier venues for jazz and funk music. Yamagishi is incredibly friendly and seems to draw people to him, no matter where he goes, so it was really only a matter of time before he ended up with foreign bandmates. On this first visit, at the age of 22, he made friends with one of his favorite soul singers, D.J. Rogers. Rogers offered to hire him, but unfortunately things didn’t work out. “His manager said, ‘Show me your visa,'” Yamagishi recounts. He didn’t have one, so he headed back to Japan where his domestic career continued to blossom. Yamagishi grew up in the city of Ise, Mie Prefecture, and like many in the postwar era, he grew up on American music. He rattles off long lists of musicians who have inspired him — everyone from Jimi Hendrix to Gap Band, Weather Report, and James Brown. However, he is a great guitar player as well. He earned his chops playing seven to eight sets a night in Kyoto for $120 a night early in his career. Residency gigs in Kyoto led to studio session invitations and eventually sealed him a record deal, and he thought, why not, so he recorded a couple albums. 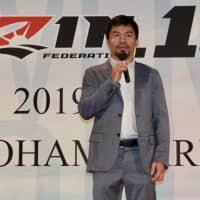 “But I don’t care much about my solo career,” Yamagishi says. 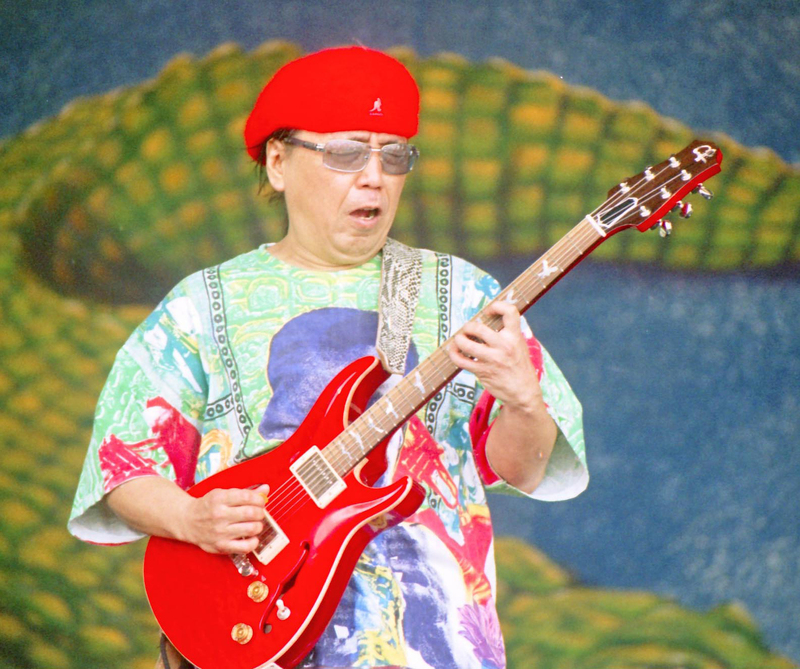 “I like forming bands and playing together.” In addition to the West Road Blues Band, Yamagishi was part the soul/funk band Sooo Baad Review and soul fusion outfit Chickenshack. 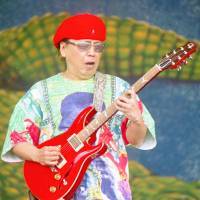 He quickly became one of Japan’s highly regarded guitarists. 1987 was the year that changed his life. 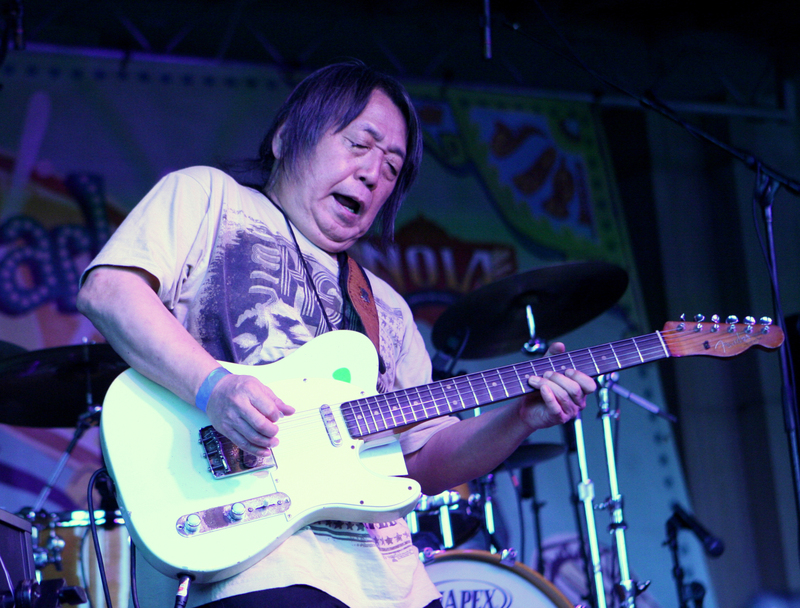 Yamagishi had one city left on his open-jaw ticket abroad, so he picked New Orleans because of his interest in the music of the Mardi Gras Indians. 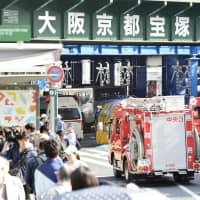 He returned to the city in 1991 for the Jazz and Heritage Festival, and made it an annual tradition from that point onward; Yamagishi’s trajectory was beginning to be set for the Crescent City. In 1995, he called his manager and asked him to cut his schedule around Sept. 20. “Are you serious?” his manager asked. “You’ve got gigs after that?” Yama-gishi didn’t have any, but it didn’t matter. A few days after his self-imposed deadline of Sept. 20, he arrived in New Orleans with a suitcase and a guitar. 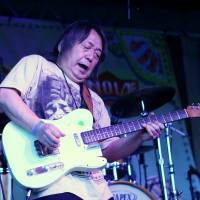 Two days later, Yamagishi showed up at the blues jam at the Maple Leaf Bar in Uptown New Orleans and made friends with percussionist Michael Ward, who invited him to see his funk band Reward rehearse. June would soon join the band. The Maple Leaf Bar is also where he met pianist and organ player John Gros. Gros had heard of Yamagishi through friends and suggested they play sometime. In 2000, Gros started organizing loose Monday night sessions at the Old Point Bar across the river in Gretna, which eventually evolved into weekly Monday night gigs at “The Leaf” as the funk band Papa Grows Funk. Papa Grows Funk had a solid, 13-year run as a local and touring band before they went on an indefinite hiatus; the long van drives on tour prevented some of the musicians from playing with others in the city. The group even visited Japan twice. In Japan, Yamagishi notes that music labels found it easier to advertise musicians if they could categorize them as one specific kind of artist, but his relaxed, open personality fits the lifestyle and the music of New Orleans well. Yamagishi makes it back to Japan a couple times a year, most recently in March this year to reunite with surviving members of Sooo Baad Review and play a tribute for the vocalist who passed away. These trips are generally for work, a week to ten days. Then he gets back to New Orleans. On any given night, Yamagishi can be found across the city playing with any of half a dozen bands: The Wild Tchoupitoulas Mardi Gras Indians, the newly formed Yakamein, which features Japanese pianist Keiko Kumaki alongside Terrence Houston and Jerry Henderson, The Trio with Johnny Vidacovich or soul singer Erica Falls.